In the summertime, Caitlin Kehoe enjoys commuting from Fremont to Redmond taking bike trails around Lake Washington. 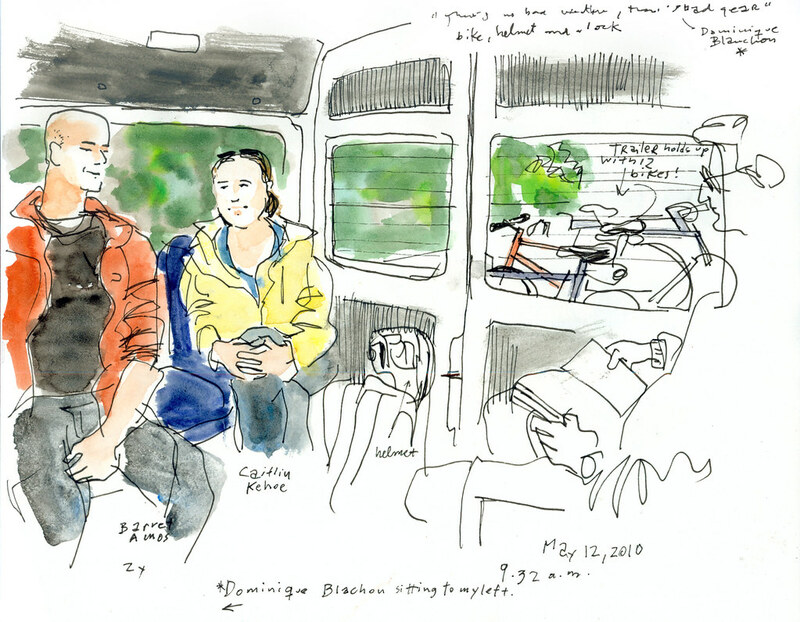 But most days she does a combination of bike and bus commute, riding 3.5 miles to Montlake Freeway Station on the west side of the S520 bridge and continuing her journey on the 545 bus. “At peak times there are a lot of people waiting,” said Kehoe, 24, when I caught up with her at the stop Wednesday morning. She said sometimes it can take half an hour until a bus with empty bike racks arrives. But if she can’t wait that long, like was the case on Wednesday, she has an alternative not many people have: riding a Microsoft bike-shuttle that leaves from a nearby parking lot every 45 minutes. The shuttle’s trailer can hold up to 12 bikes. The bike-shuttle is not the only commuting benefit Kehoe gets from working at Microsoft. “They have two bike shops right there on campus and they subsidize tune-ups so you can go and have your bike maintained,” she said. Dominique Blachon, a fellow bike commuter on the shuttle, said they also have showers, lockers and bike garages. “We are really lucky,” he said. 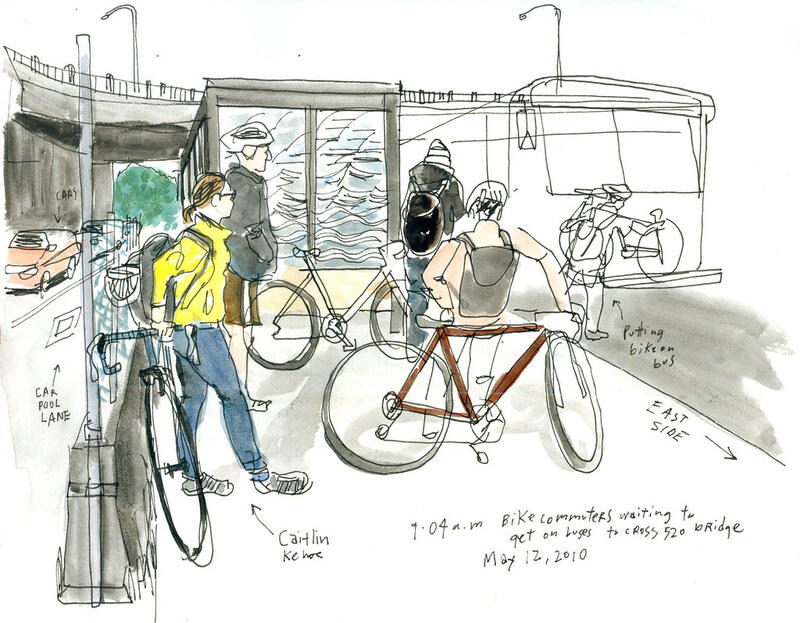 As Bike to Work Day comes up next Friday, May 21, I’m learning what it is like to commute by bike from the people who do it every day. Stay tuned for more sketches and stories. See Wednesday’s post where I talked to bike commuter Andy Larson here.